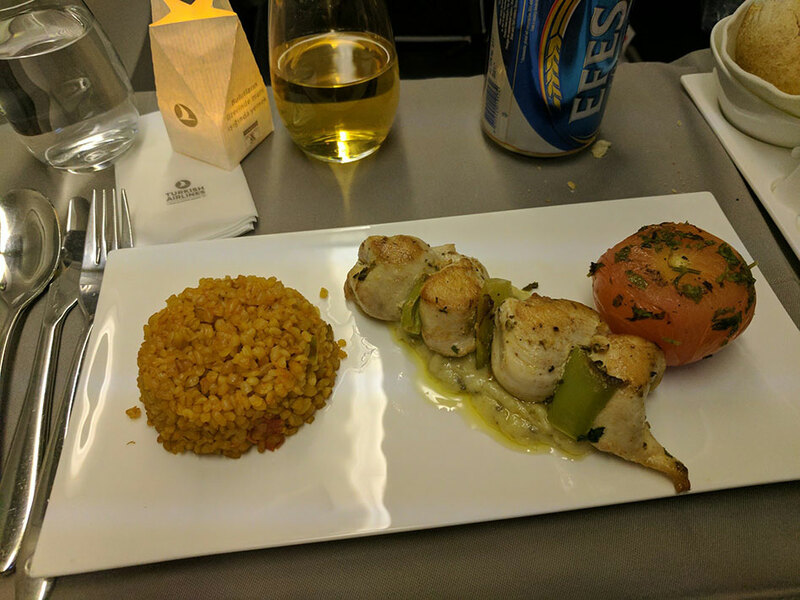 After flying Turkish Airlines TK6 from Chicago to Istanbul, and spending some time in the Turkish Airlines lounge, I was off to Manila on Turkish Airlines TK84. 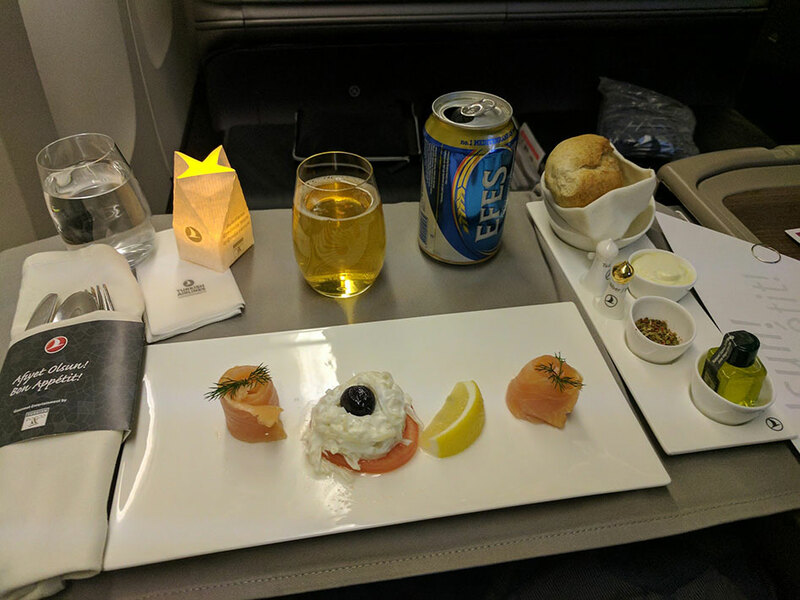 This was done on a 777-300ER as I’ve been on before for Turkish Airlines TK5. Thankfully my flight was only delayed a bit from all the snow shenanigans IST was trying to deal with. I had my pick from a mostly empty cabin, in fact, mostly empty plane – given the snow a lot of people had been stuck at the airport a while. 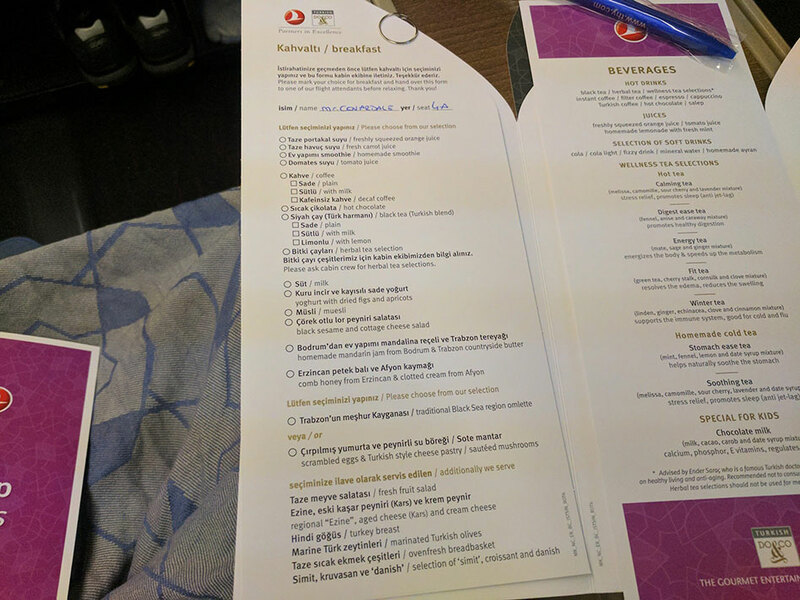 My understanding is the prior night’s plane (1 directly flight a day) had been completely full – barely anyone was on my plane, I’m not sure it was even 20. 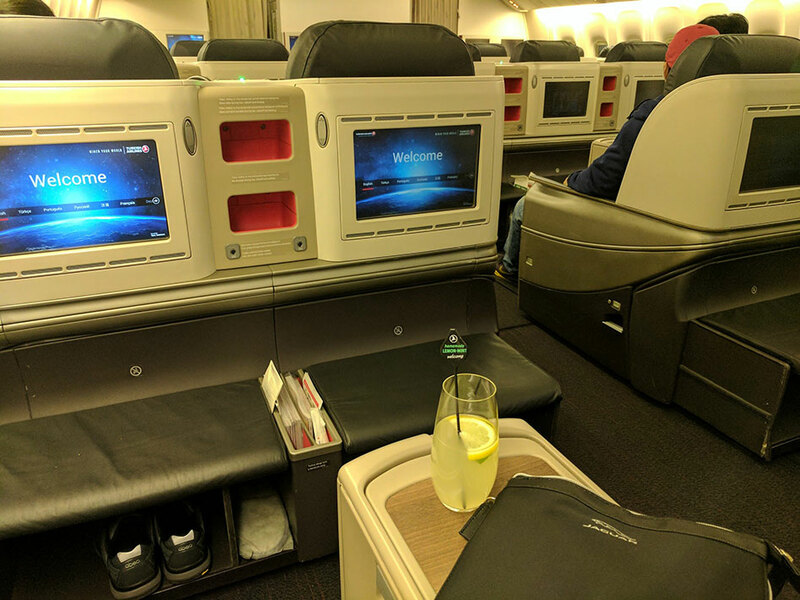 I took a seat in an economy seat for a while just to see how much I’d like to sit in it for the 10 hour flight. Tolerable but glad I did not have to do it this time! 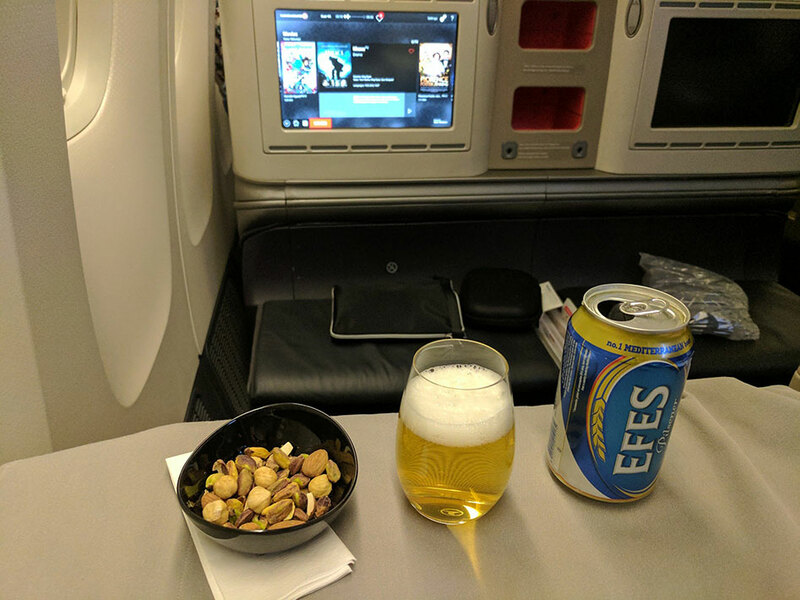 I have spent my fair share flying economy as well in the past. 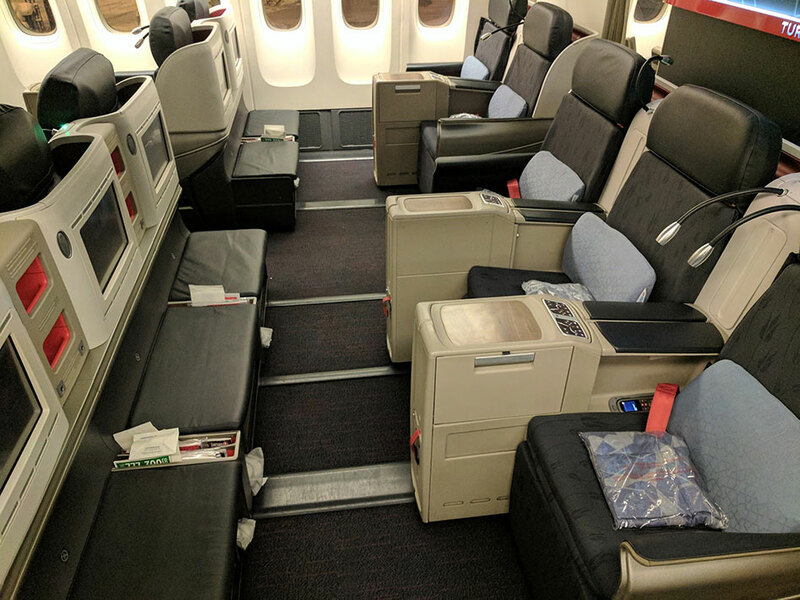 These are 177 degree lie flat seats per seatguru – for some reason I found them more comfortable to sleep in. 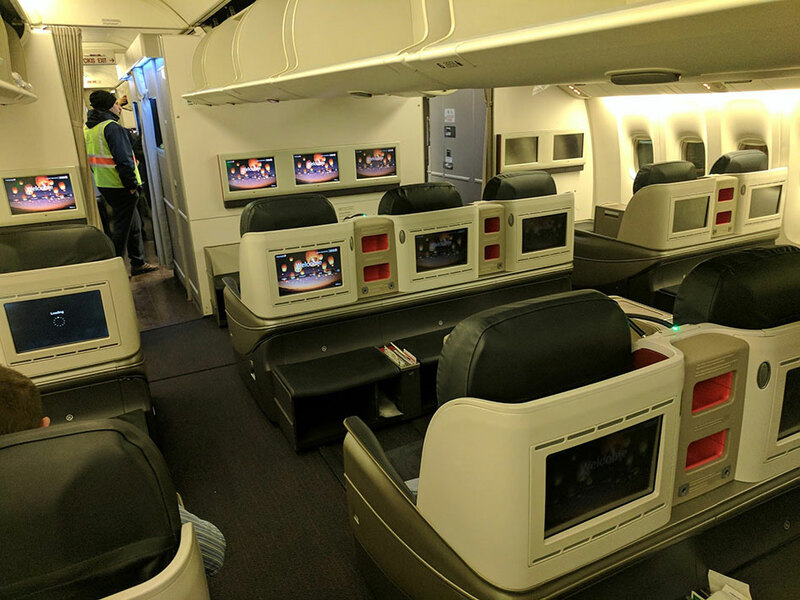 Is the screen better on these planes? Hard for me to tell without a side by side but for some reason my brain seems to prefer them. Or maybe I was just happier about having a regular seat and not being in the bulkhead here. 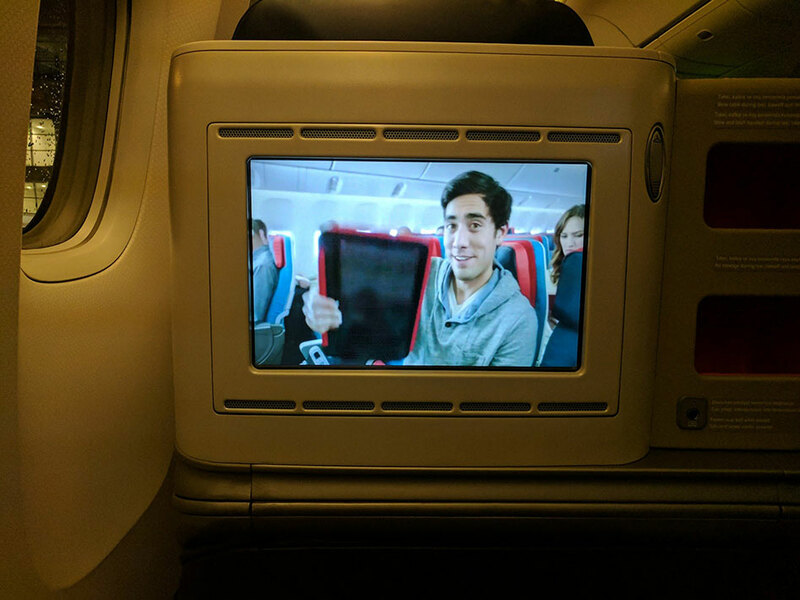 The guy in their safety video has a bunch of viral special effects videos on youtube, Zach King – he’s really good. 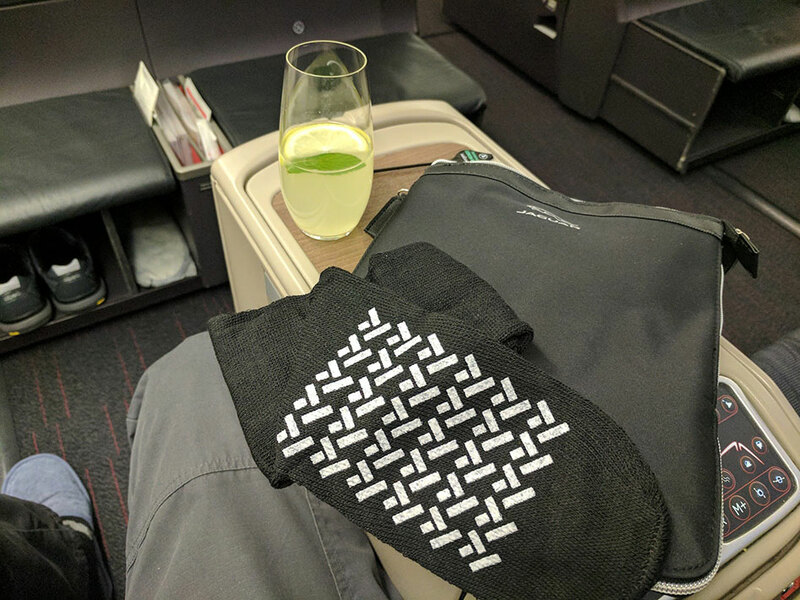 Jaguar amenity kit this time. I only used the socks. Looks good, time to eat. The salmon and celeriac was quite tasty. I had the chicken. Maybe not the prettiest display but it was all pretty good. 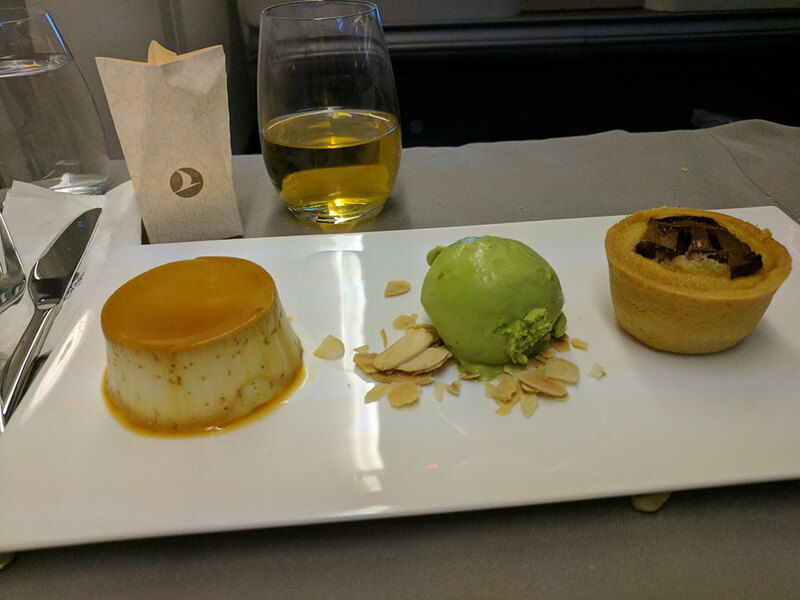 From left to right, the panna cotta, pistachio ice cream, and almond plum cake. I enjoyed them all, is it too greedy to just ask for 1 of everything on the dessert cart? 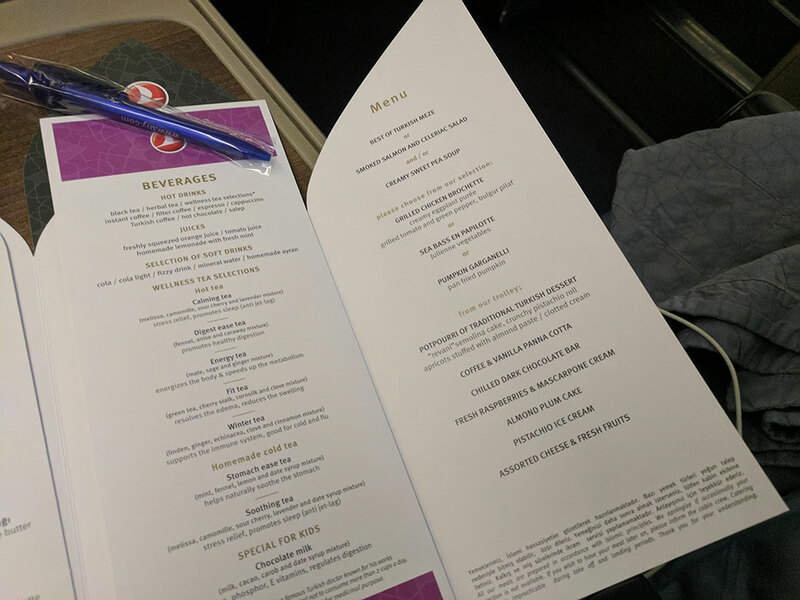 The only flight I’ve ever been on that they just told me to eat everything was my first premium cabin flight, first class British Airways ORD-LON in the nose of a 747. They said order however much you want, of whatever you want, and whenever you want. I ripped through and tried a tooon of that menu and had multiple snackies, a good and stuffed time! Every other flight I’ve been on however I’ve tried to act like a Reasonable Person however. Later for breakfast – nothing too fancy here, standard starter. 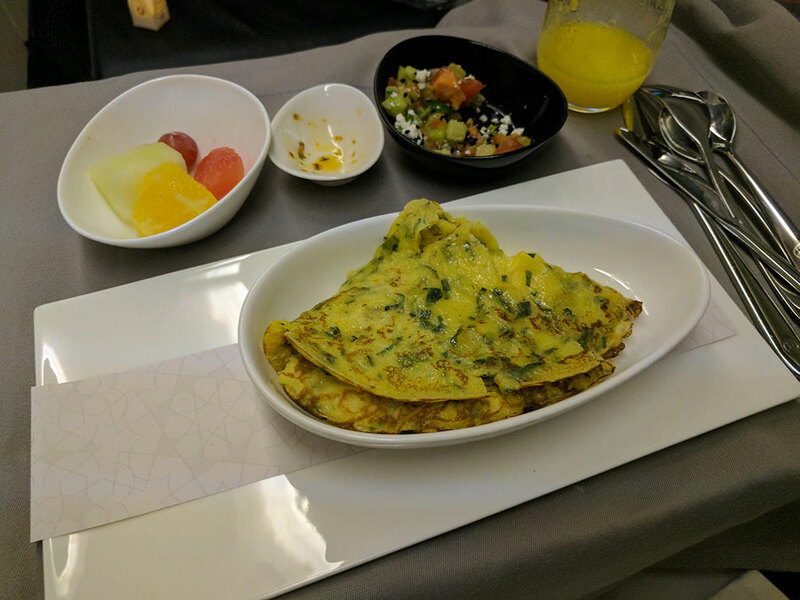 I had the “traditional Black Sea region omelette” – I couldn’t tell you if it was how they were normally made, but overall it was rather dry. The tomatoes and such in the black sesame and cottage cheese salad were the only thing to try and get it into where I would prefer but they were really not enough. 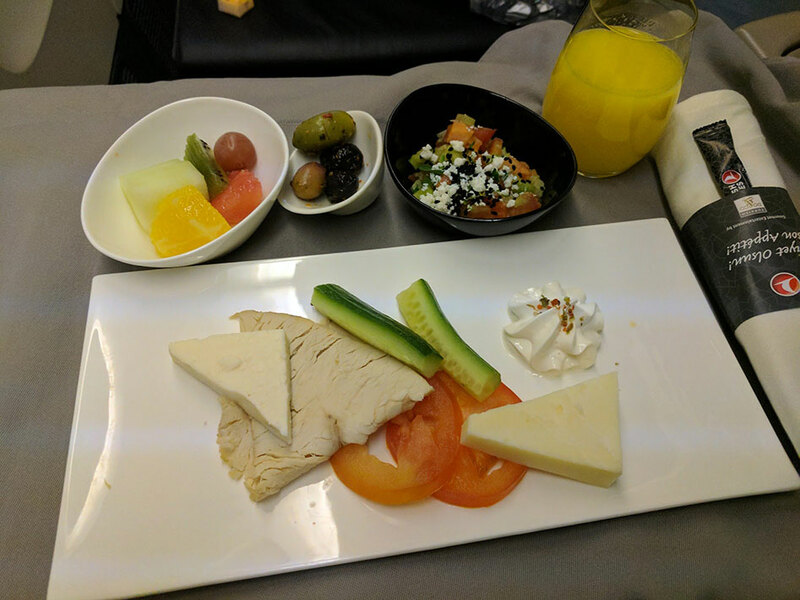 It could have just been this one but hey, if I had this choice again to start my day out tomorrow, I’d try the scrambled eggs and Turkish cheese pastry option. Overall all was well until we got to Manila, upon which the 20 of us found only 4 bags arrived, 2 of which were actually owned by us. 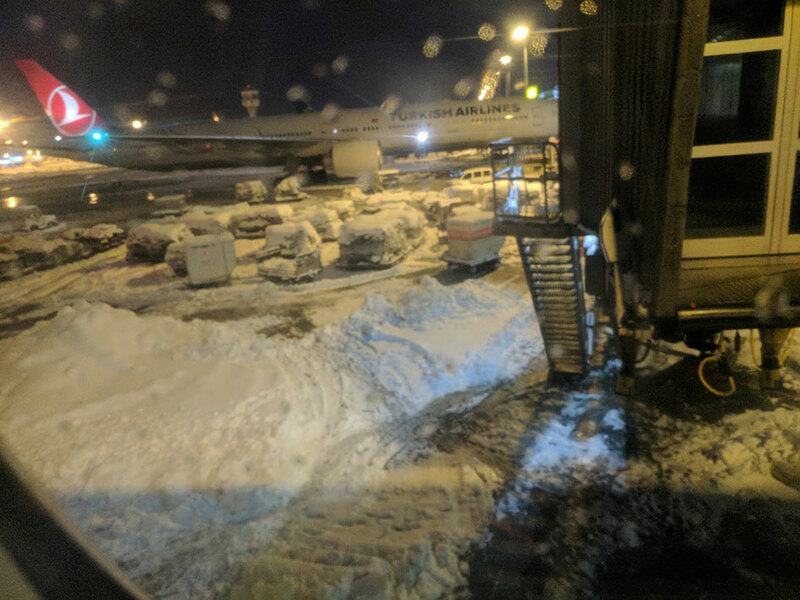 The snow did a number on IST, and the Turkish Airlines lost luggage experience left something to be desired.